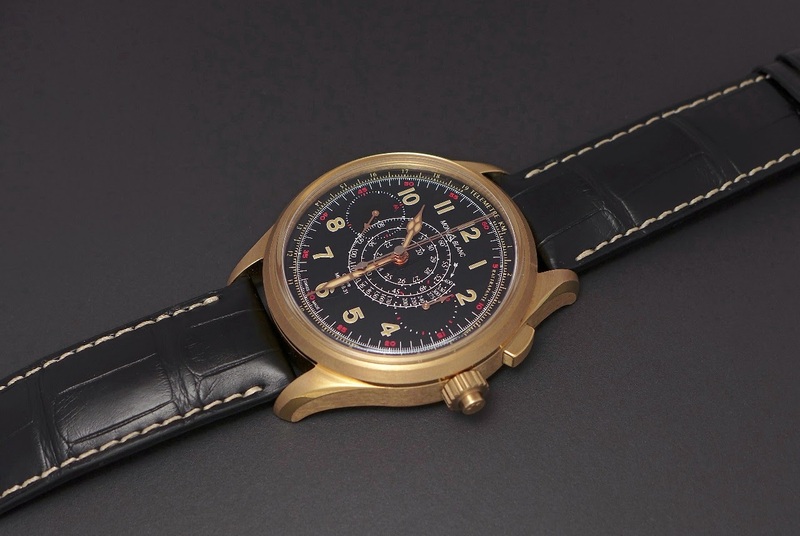 Montblanc - Direct from the SIHH: Montblanc 1858 Split Seconds Bronze Case. Direct from the SIHH: Montblanc 1858 Split Seconds Bronze Case. I will review this 1858 Double Split, but it is one of my love affair from the SIHH. A super nice movement, a cool dial. I would have just preferred a steel or titanium case. Rattrapante! There aren't so many which are fine, in the watch universe! Clean looking. Minerva movement? Size? Just excellent. Beautiful movement. Super reasonable price point. Best movement finishing in the world! Even that bronze. It's like wood in a wine, instantly makes the wine taste more expensive! Usually a welcome fragrance in a wine! Thank you! I’d rather see this in say, titanium. And a smaller diameter example 40 or 41mm. The heft of this model will restrict its audience, but the great price should coerce those who are on the fence. Like many here, I am intrigued that the rattrapante and the salmon dial chronograph are so closely priced.